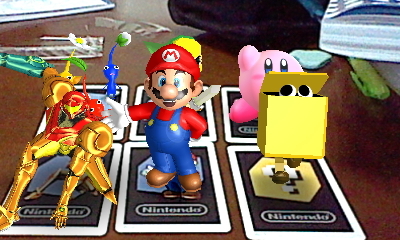 Mario Popped Up From AR Card! My son likes playing game. 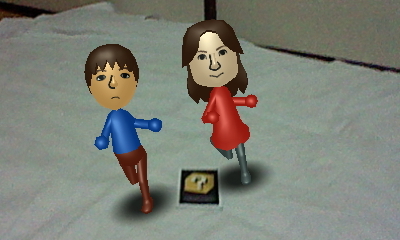 Nintendo 3DSLL was released recently, and we went for it. 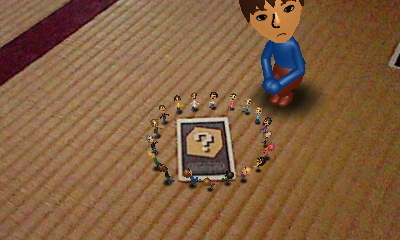 He was divided between 3DS and 3DSLL. 3DSLL is bigger than 3DS, but it seems to get eye strain. After all he bought 3DS in his savings because it looks easy to carry around. It cost 14,900yen (5000yen less expensive than 3DSLL) This is the third DS for him. 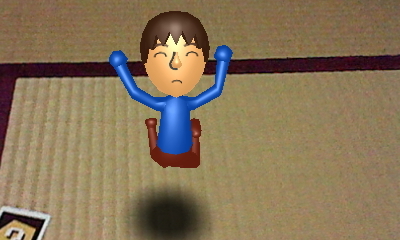 Every time Nintendo released new one, he bought it. Then, I ordered the software of ” Mario” from the company Megatips(stock ticker 6875 in Japan) for him. This company sends shareholders an shopping catalog every year. 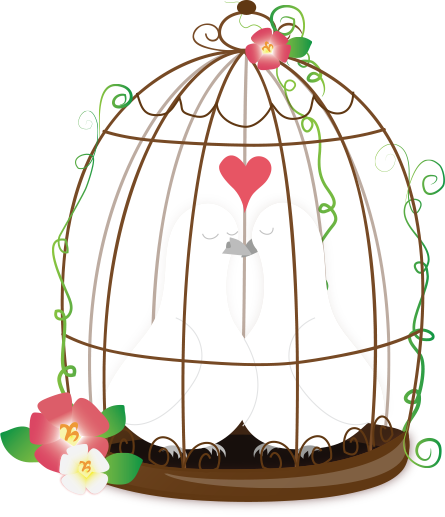 In Japan, there is a shareholder special benefit plan in addition to dividend. The next morning my son was taking my picture by 3DS. I wonder why. 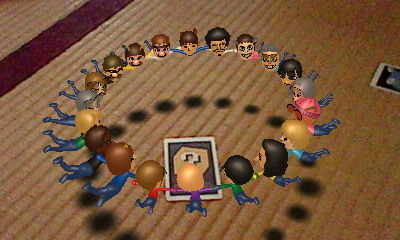 I looked into his 3DS. Wow! 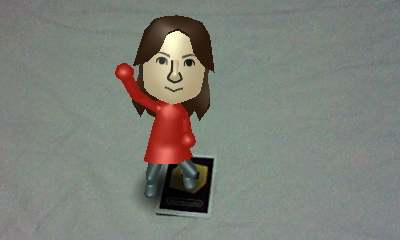 Mii was made of my picture automatically. 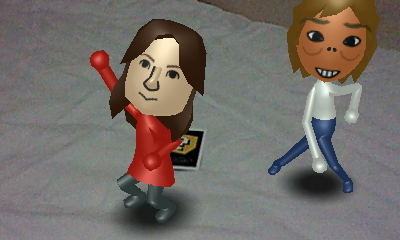 Mii is the avatar used in another Nintendo game Wii. He says my avatar looks like me. Really? I don’t think so. 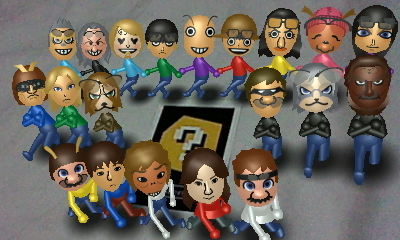 Many people created various Mii and uploaded them. 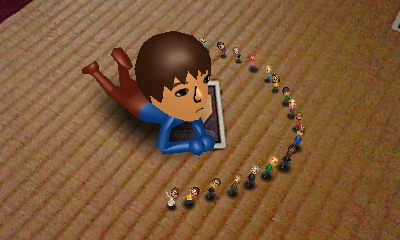 He was taking many Mii such as anime character of “One Piece” from the internet into 3DS by using QR cord. Kids go ahead of time! Do You Know Henna Art? Mehndi is the body art by using henna, which is popular around India. As Henna can dye only the surface of skin, the reddish color disappears in two weeks. I knew about Mehndi on a belly dance magazine. The pictures of it were beautiful. I liked it. When I went to Tokyo in May, I had my left hand decorated with henna by Akina Matubara, Japanese professional henna artist. 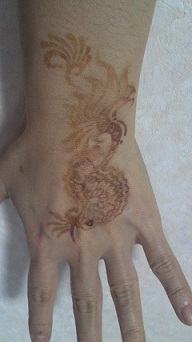 Later, I found an instant henna corn at a store, then I tried. But there was a strange and rather disturbing smell. The color was strange too. I thought this wasn’t the right one. I washed off right away but already my hand was dyed. I think it included chemicals. I also have had my hair dyed with henna since last year. I can’t use hair color including chemical any more. My friend became an allergy sufferer by using it. So I’m scared. Henna smells nice like hay. It is easy to use. Why don’t you try? But be careful not to use chemical henna. To tell the truth, I am not good at cooking. Or rather it’s a bother to cook because I have to do everyday. My mother is a cookery enthusiast. So I ‘m always compared to her. Then I decided to go to cooking class once a month. 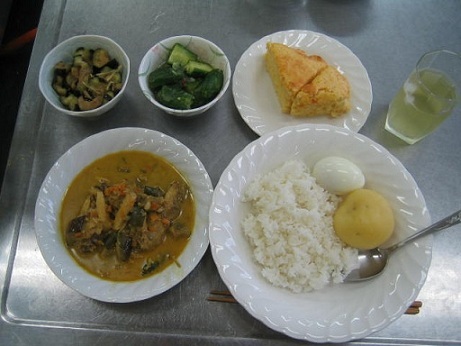 Today was the cooking day. I attended a lecture at university yesterday. introducing the video “Inside Job” by Charles Ferguson. When the gap between rich and poor is wide, the society becomes unstable. Reading handout, American society is crazy. The top 1% earns 1/4 income of all in USA. Just before the Great Depression, the top 1% earned 23.9% of all income. Then 2007, the ratio reached about the same 23.5% again! The top 10% accounts for over 70% of all American wealth. Wow! American dream is a dream. It seems that social mobility is low in unequal country. They have a nature of pursuing their interests! Even it doesn’t pay. People with the same interest get together and have fun.